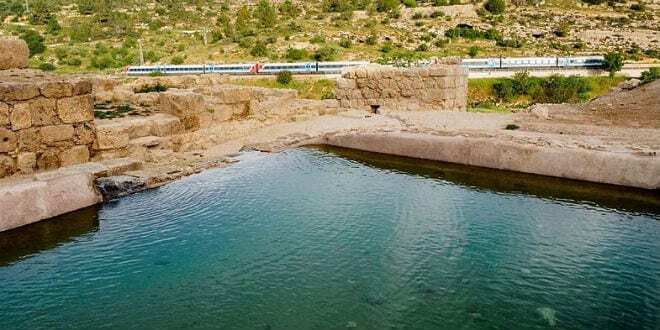 Excavations Reveal First Temple Treasures, Large Pool System Outside Jerusalem - Breaking Israel News | Latest News. Biblical Perspective. A large and majestic system of pools from the Byzantine period (4th–6th centuries CE), a fragment of a capital typical of royal structures and estates in the First Temple period, and a rare silver coin from the 4th century BCE—one of the most ancient ever unearthed in the Jerusalem area, were found in excavations at Ein Hanniya, south-west of Jerusalem, just inches west of the 1967 green line. 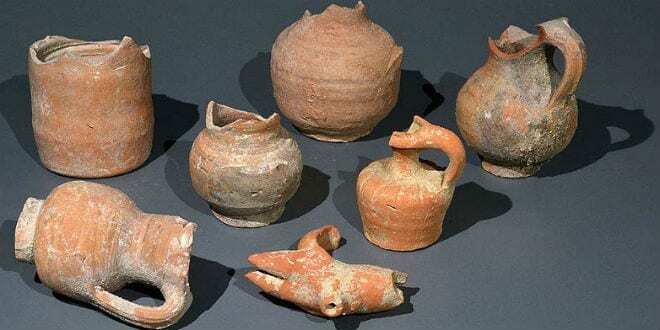 These remarkable finds were unearthed in Israel Antiquities Authority excavations at the site of Ein Hanniya between 2012 and 2016. The area will open to the public in the coming months. The excavations, headed by IAA archaeologists Irina Zilberbod and Yaakov Billig, under the direction of the Jerusalem district archaeologist, Dr. Yuval Baruch, were carried out as part of the establishment of the Ein Hanniya park, were financed by the Jerusalem Development Authority in cooperation with the Israel Nature and Parks Authority, and were complemented by conservation and development work by the Israel Antiquities Authority’s Conservation Administration. The park was dedicated Wednesday morning at a Tu B’Shvat planting ceremony attended by Minister of Environmental Protection, Jerusalem and Heritage Ze’ev Elkin (Likud), the Grand Sacristan of the Armenian Apostolic Patriarchate of Jerusalem, Archbishop Sevan Gharibian, Jerusalem Mayor Nir Barkat, Jerusalem Development Authority Director General Eyal Haimovsky, Israel Nature and Parks Authority Director General Shaul Goldstein and IAA Director General Israel Hasson. Settlement in the area of Ein Hanniya apparently began at the time of the First Temple and perhaps even earlier. The most outstanding find from this period uncovered in this excavation is a fragment of a proto-Ionic capital – an artistic element typical of structures and estates of the kings of the First Temple period. 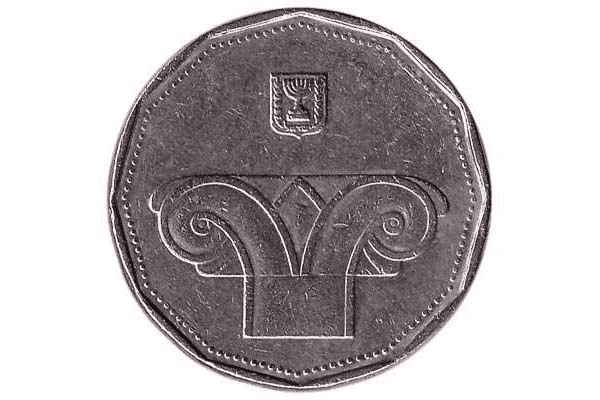 The image of one such capital appears on the Israeli 5-shekel coin. Similar capitals have been found in the City of David in Jerusalem, which was the capital of the Kingdom of Judah, and in Ramat Rachel, where one of the palaces of the kings of Judah was found. Such capitals were also found in Samaria, Megiddo and Khatzor, which were major cities in the Kingdom of Israel. According to the archaeologists, the site at Ein Hanniya may have been a royal estate at the time of the First Temple. After the destruction of the First Temple, settlement may have been renewed at the site in the form of an estate house that was inhabited by Jews. 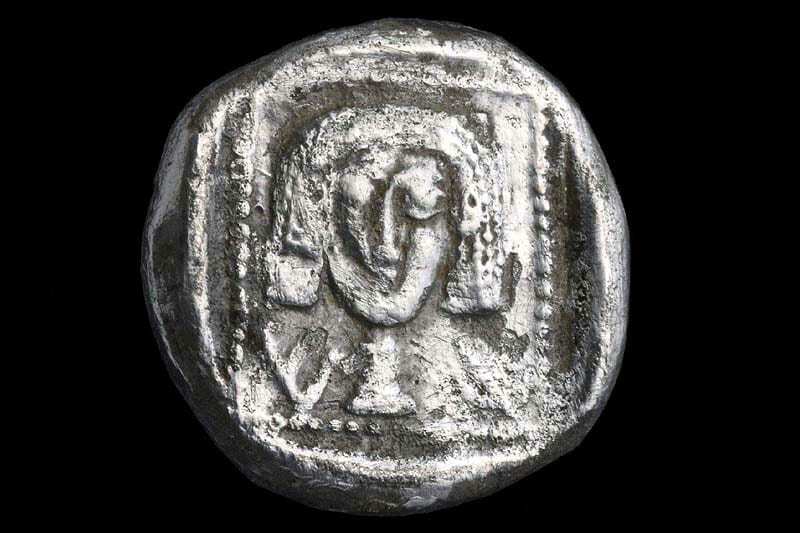 The most significant find from this period is a rare silver coin, one of the most ancient to be discovered so far in the Jerusalem area – a drachma, minted in Ashdod by a Hellenic sovereign between 420 and 390 BCE. The coins, pottery, glass, roof tiles and multicolored mosaic tesserae (individual tile used in creating a mosaic) from the Byzantine period which were unearthed in the excavation attest to the fact that it was during this period (4th–6th centuries CE) that the site reached its peak.